As the title suggests, I really don't enjoy oysters. The slimy, slithery, popping, ocean taste. Eeuwww. Kerry-Anne, on the other hand, can't get enough of them. 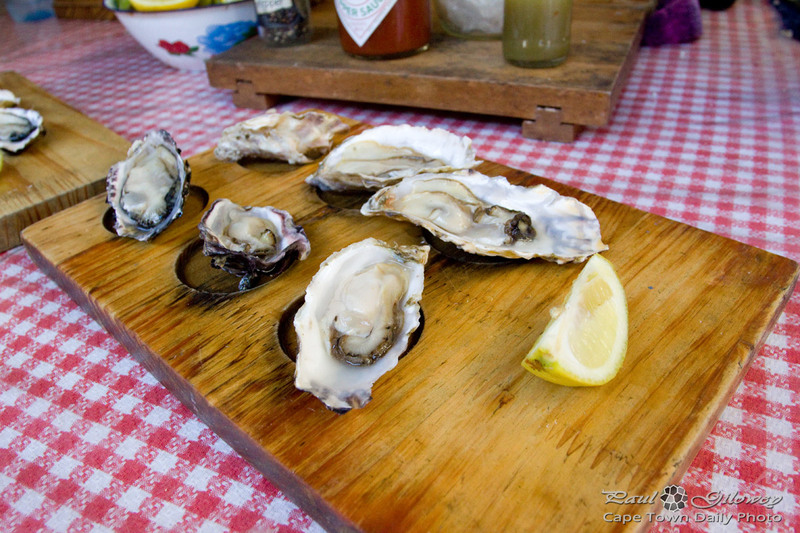 Each year, in around July, the little town of Knysna (high up along the Western Cape's east coast) has a huge oyster festival that runs for about 10 days. Between 60,000 and 70,000 people navigate their way to the area to participate in sports events, drink wine, eat oysters, attend live music acts, and drink wine (did I mention that already?). Posted in General and tagged knysna, oysters on Sunday, 29 December, 2013 by Paul.